Hyperthyroidism is an overactive thyroid gland. Overactive thyroid gland produces more than sufficient thyroxine. Due to extra thyroxine, metabolic rate of body increases. 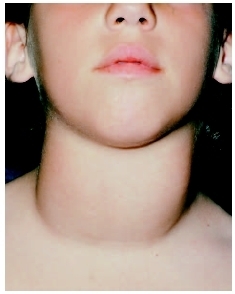 Sometime doctors use the term thyrotoxicosis for hyperthyroidism. Both terms have the same meaning. Excess thyroid hormone causes a toxic condition i.e. thyrotoxicosis. Thyrotoxicosis is also caused when excess amount of thyroid hormone is taken or if thyroid gland produces excess thyroxine. Due to excess thyroid hormone most functions in our body start occurring at fast rates e.g. a person may experience a quick weight loss, fast heartbeat, excessive sweat, nervousness and moody behavior. Sometimes no hyperthyroidism symptoms appear. In this doctor has to make some tests to confirm hyperthyroidism. Hyperthyroidism treatment is easy which can provide a healthy lifestyle. In case if treatment for hyperthyroidism is not taken properly, condition may get worse and lead to heart problems, thyroid storm and bone problems.